It was bound to happen: when short supply meets strong demand, commodity prices can’t stay low forever. And now, all the silver investors who endured a patience-testing, range-bound 2018 are preparing for a year to remember. The only thing that really held the price of silver down last year was the rare and unusual occurrence of the U.S. dollar having a strong year. It was a highly unusual year in which the dollar outperformed all other major global asset classes. 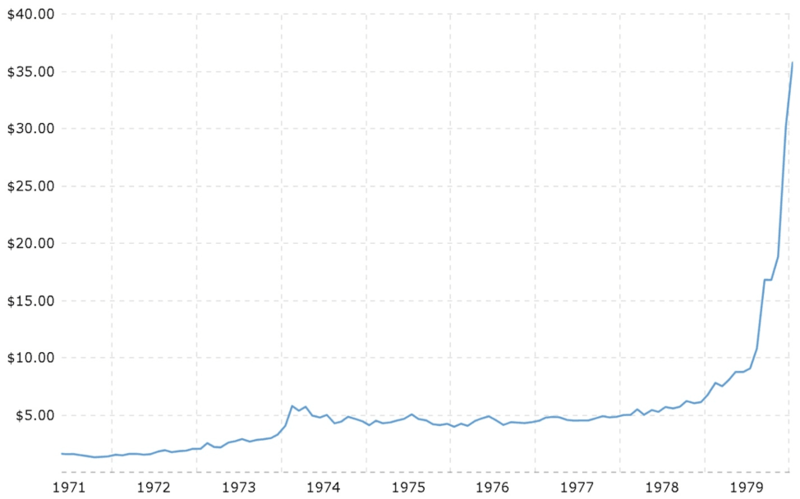 To give you some perspective on this, the last time the U.S. dollar outperformed all else was in 1969, right before the U.S. Government closed the “gold window” and a 2,400% rally in precious metals started. And that’s in 1980 dollars­ – just think about what silver was worth back then in today’s dollars. Don’t get me wrong: commodity traders are absolutely right to celebrate silver’s strong performance in 2019 so far, but $15 or $16 per ounce is nothing compared to what’s ahead of us. When we factor in the robust demand for silver, which is needed for electronics (a cell phone contains about one-third of a gram of silver), solar cells, batteries, chemical catalysts, water purification, clothing, jewelry, currency, and silverware… and when we consider that silver mines are operating at the lowest output levels since 2013, we have a highly favorable supply and demand curve that’s setting silver up for a huge breakout. Even with the supply shortage, there’s a silver mining company that’s actually ramping up its production: First Majestic Silver Corp. (NYSE: AG, TSX: FR), whose President and CEO is Mr. Keith Neumeyer, also known in the commodity community as Mister Silver because he’s been in the business for so long and has earned the respect of his peers. In fact, Keith Neumeyer has been in the investment community for 35 years and won the E&Y Entrepreneur of the Year Award in 2011 for the Metals & Mining category. He founded First Majestic Silver back in 2002, and the company has been the first choice among mining industry investors for longer than most of the others have been in business. Keith Neumeyer has built a real powerhouse of a mining company: it’s one of the largest silver producers in the world, and with 66% of the company’s revenues derived from silver mining, First Majestic is a rare pure play for investors that are seeking strong exposure to silver’s imminent breakout. According to the latest data, First Majestic’s total production in 2018 reached a whopping 22.2 million equivalent ounces of silver, representing a 37% increase over 2017, and it’s at the upper end of the company’s guidance of 20.5 to 22.6 million silver-equivalent ounces. 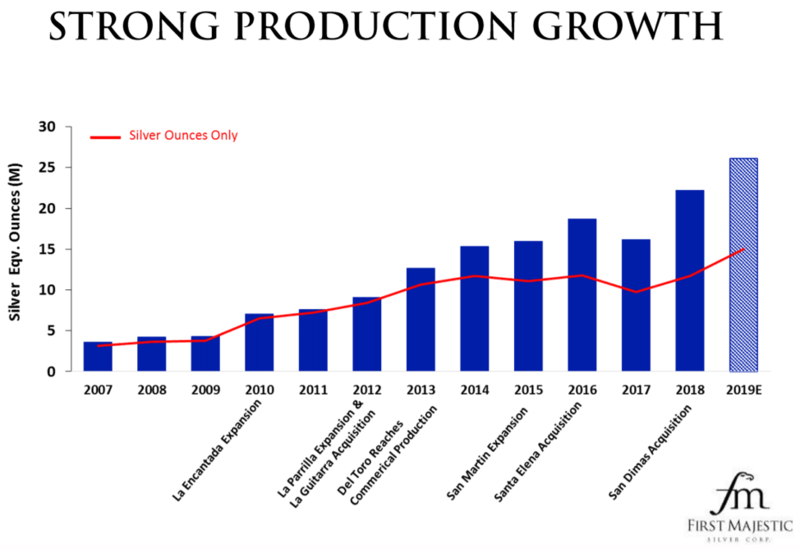 Keith Neumeyer and First Majestic Silver Corp. are breaking records in silver production while other miners can’t even come close. The prime ingredients for success are all in place: robust production, strong demand, and the best leadership in the business make First Majestic the clear choice in silver’s breakout year.